NOTE: Green and Red changed ownership in 2010. The new owners retained the Sound Division sound system and in 2011 contracted Sound Division to install an additional projection screen system. See Mason & Taylor for details. 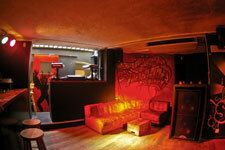 Leading Shoreditch based Mexican bar and restaurant, Green & Red Bar & Cantina, has upgraded the sound system in its dedicated 220-capacity basement venue, Chamucos. 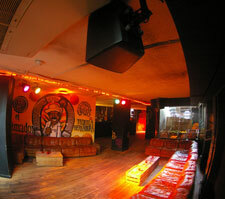 While continuing to offer its renowned Jaliscan-style cooking upstairs, owners, Underdog Group, have turned to the heavily themed live venue downstairs, tasking the Sound Division Group with augmenting the sound and distributing it evenly throughout the graffiti-walled, cave-like interior. Sound Division MD, David Graham, has sensitively added to the existing Martin Audio/QSC sound system to maintain continuity, servicing and reinstalling part of the equipment, to provide greater flexibility and preserve sonic integrity. At the same time the installers have added new amps and processing as well as providing a highly-specified DJ system, a live mixing console, mics, DI Boxes and band lighting. This is not only designed to keep top London-based resident Latin DJs like Ramón Santana happy, but by running separate 16-way multicores from the mixing console to two separate sound stages, both of which are serviced by the PAR 56 lighting bars, the options are further extended. Thus Oghene, mindful of the excellent systems installed by Sound Division in neighbouring venues such as Beach Blanket Babylon and All Star Lanes, asked the company for advice. 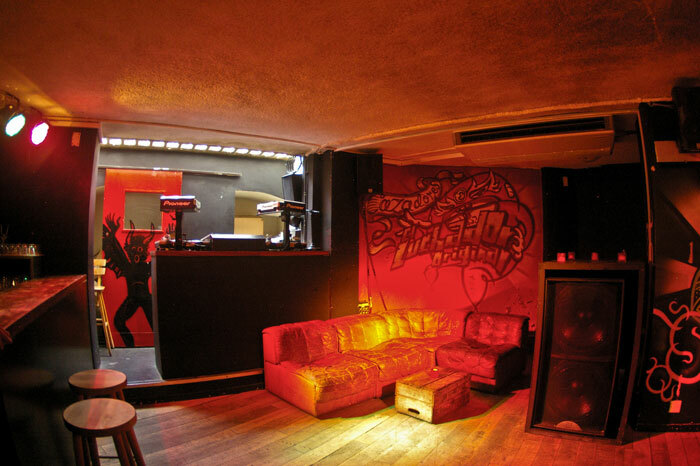 The result is that Chamucos is now divided into three zones — the main dancefloor area (Chamucos) features brown modular leather seating and the primary sound stage while the other two zones are delineated Mama’s Bar and Flaco (with a second sound stage) — providing the perfect environment for its Latin DJs to pump out an authentic mix. The gain structure in the newly-installed BSS Soundweb 3008 Lite DSP has been configured for three different states across the three zones — DJ mode, live mode and a separate EQ for general background music. 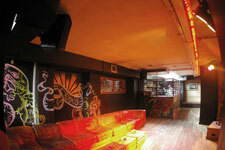 There is also a provision for BSS programmable wall panels behind the bar in each zone for local control. Delivering the punch on the main floor are two new Martin Audio AQ8 architectural loudspeakers and a new Martin Audio S218 sub bass unit, while a new AQ8 now complements the ultra-compact AQ5’s which previously serviced the main Chamucos bar. 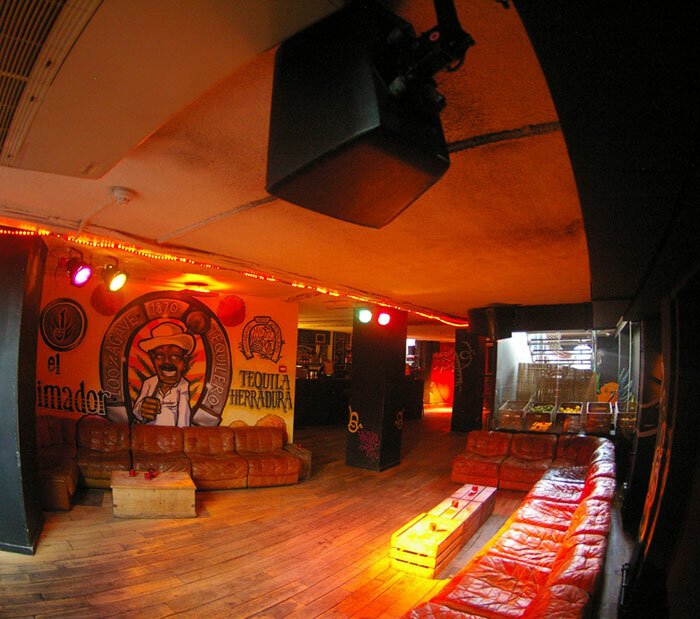 In the second stage position at Flaco (Zone 2) further Martin Audio AQ8’s have been provided left and right of the designated stage space, while in Mama’s long lounge area (Zone 3) a further two AQ8’s have been installed together with a new AQ210 (2 x 10in) sub bass unit. Also added to the spec are new QSC PLX and RMX amplifiers to complement the existing ISA series amps, and provide the extra power needed for the upgraded system. Meanwhile, the DJ booth has been substantially upgraded, with Sound Division supplying and installing industry-standard Pioneer CDJ800 Mk2 CD players and a new Allen & Heath S2 DJ mixer, to add to the existing Technics SL1210 turntables. The DJ has also been given an AQ8 loudspeaker for his reference sound. A working kit of essential band microphones & DI boxes have been supplied in the shape of Shure SM57’s and SM58’s along with Radial Pro48 phantom powered active DI boxes and boom stands, and a Soundcraft FX16ii 16-channel mixing desk with built-in Lexicon FX. Described as a monster of a digital effects live / recording mixer, it was chosen for its compactness and features, making it an ideal unit for small band application. The new stage lighting comprises of eight black PAR 56 lanterns (four in each stage position) run off a Lite Puter AX805 8-channel mini desk with blackout and flash buttons. The fast-fit install was supervised for Sound Division by project manager, Dean Osborne and at the same time Sound Division took the opportunity to recondition Green & Red’s ground floor background audio system and reconfigure it into a two-zone system. As a result, Chamucos will open downstairs Thursday through Saturday while live music is now planned during the week.